Since 1999, Cost Advisors has managed risk and improved business processes for more than 40 companies of all sizes. Our fraud clients, typically attorneys*, represent a diverse range of public and private industries—from banking and insurance to manufacturing and construction. They come back because they trust our results. What separates us from others in the field? Our team has decades of combined experience managing internal controls, investigating fraud and mitigating legal risks. 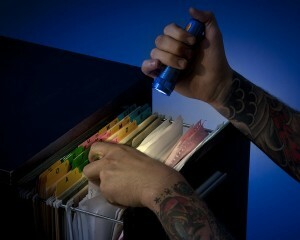 We have worked on cases with law enforcement at Federal, State, County and City levels for years. Our president, Bill Douglas, is a sworn Sheriff’s Deputy in Washington County. The experience we have with law enforcement ensures proper handling of matters involving criminal activity. We are professional. We are registered as a CPA firm (in Oregon). Plus individual employees have varying certifications such as CPA, Certified in Financial Forensics, Certified Information Technology Professional, Certified Fraud Examiner, Certified Internal Auditor, Chartered Global Management Accountant, and Oregon Licensed Private Investigator. We are current. We attend hundreds of hours of classes per year so that we are familiar with the latest techniques and tools. We respect our clients’ routine operations, taking care not to disrupt month-end closing, financial statement preparation and other business projects. We ensure that our services add more value than cost to our clients’ businesses. We often recover more than we cost. Using our proprietary data-mining tool, Reperio®, we can investigate and detect more instances of fraud more quickly than conventional practices. It’s just one way we help our clients identify the full scope of their losses. We respect our clients’ reputations—our work is performed in a discreet and confidential manner. We have experience with both large and small businesses. Our results speak for themselves. We have been in business since 1999. *To protect our findings from discovery by opposing council, we often encourage human resources staff, CFOs and audit committees to engage our fraud investigation services through an attorney, thereby exercising attorney-client privilege. Conversely, companies may engage us directly for non-investigation services such as governance policies, training and fraud prevention.